I have lived in Austin for over 10 years. I love to help people in all stages of life find the perfect home.  I can help with buying, selling and investing in real estate in the greater Austin Area, including Cedar Park, Round Rock, Leander, Pflugerville, and Georgetown. My background in architecture and past work with seniors gives me a unique perspective in locating homes that meet specific needs. My design background allows me to beautifully stage homes for sale. I have a strong interest in new home construction, multi-generational homes, and homes for empty nesters as well as first time home buyers that need a bit of extra care. Hi! I have a long record of successfully guiding local, national and multinational clients with their various Real Estate needs. I have worked in various countries and have vast knowledge of many Real Estate markets. Leveraging my experience as a successful corporate executive, I give huge importance to outstanding client experience, accessibility, great negotiation and marketing skills. I will make sure that I bring my sales expertise and passion to provide you with a smooth and seamless transaction whether you are planning to buy, sell or invest. Ajay Rai will work with you to make your dream home a reality on your terms. Married 11 years and mother of 8 year old twins. I have been in real estate in Austin for over 10 years now and I’m also an avid investor. My husband and I have flipped homes and currently have about 14 rental properties in areas ranging from Round Rock to Kyle. We also have a property on Homeaway that keeps us pretty busy. I am very active in my community and with the school’s PTA I also enjoy volunteer work and have done so with CASA Travis County. I am from Canada but Austin is my home! I am from Chicago, IL and have been a resident of Austin since 1983. I fell in love with this vibrant city and I am amazed at how Austin continues to grow! My husband Tim and I are Real Estate Investors and own several residential and commercial properties. Investing in real estate ignited my motivation to become a Realtor. I am a graduate of the Northwestern Business College, Chicago, IL. My work experience, includes: Realtor, Real Estate Investor, Owner of AZ Massage Therapy, Chief Family Officer (aka-stay at home mom), Software Sales Consultant and Office Manager. I enjoy practicing Tai Chi and Qigong which keeps me centered and fit. My favorite pastimes are reading personal growth books, meditating and spending time with family and friends. I will be happy to utilize my experience and expertise to assist you with buying, selling or investing in residential or commercial properties. Just give me a call at 512-827-7262. I look forward to hearing from you soon! Andre Key is a Realtor with Central Metro Realty. He move to Cedar park, TX from Chicago, Ill over 10 years ago. Since arriving to Texas Andre has obtained a BA in Management and a Masters in Accountancy from the University of Phoenix. Andre worked for some of the largest companies in U.S. history, from Motorola, Ford Motor Company, and University of Phoenix and has functioned in leadership in each organization. While managing in Ford's quality department Andre developed his love for real estate and started aquiring properties through-out Chicago and Northwest Indiana. Upon moving to Texas Andre helped many families avoid foreclosure during one of the worse housing bubbles that the country has seen in years and has leverage his expertise to continue to help families capitalize on their homes values and also buy homes that matches their dreams. Andre's approach of explaining and analyzing the numbers have helped many make safe and sound investments in real estate, from single family homes, commercial properties, and raw land. Andre's ability to find his client's true motivation and development of a strong exit strategy has allowed him to constantly exceed their goals and expectations. Andre is an active member in several real estate investment groups as well as ABOR, TAR, TREC, and NAR, and was a vital part of one of the top producing real estate teams at United Real Estate in 2016. In his spare time, Andre loves to spend time with his loving wife his children and family pets. He loves to read, travel and enjoys early morning work outs. Becky Welton is the Realtor that knows every purchase and every sale is not just a house or land it is a connection to your life plans. She values the importance of dedication, integrity, skills, and knowledge that goes into helping you with your real estate needs. In addition to real estate, Becky has earned a BS and a BA, both with honors. She is skilled with over 20 years experience with sales and marketing. Central Texas is an exciting place of growth and activity. In Becky’s free time she enjoys spending time with her dogs, paddle boarding, creating artwork and visiting new places. Get excited about your real estate plans of buying or selling a home in Central Texas and call Becky Welton, the Realtor you must have to help you with your real estate plans. Born into the business, literally, Darren Fisher was raised by a Real Estate Attorney and worked in his father’s Title Company. From civil engineering to construction, Darren has worked within the housing industry in many facets. As well, he studied pure mathematics at the University of Texas. Bringing these skill sets to bear, Darren has a knack with investment properties and enjoys a focus on residential and small residential commercial. Having an agent with extensive construction experience gives investors an advantage in the market. Running the numbers and fully understanding what those numbers represent is paramount within this niche market, and Darren provides this expertise in one package. Whether you’re a first time homebuyer or investment entrepreneur, these investments may be the biggest financial decisions of your life, and this guy has the talent to serve those needs. As Darren said: “People are not just buying a home, we are investing towards our futures, and most likely, most of us will have a homestead and investment properties in our retirement portfolios. My approach is to tailor your Real Estate into your overall financial planning. My thinking is to create continuity to your planning and provide the one-­-stop-­-shop for your Real Estate needs… today and in your future endeavors!” Darren Fisher is ready and waiting to help! Over the last 12 years, Debbie has helped more than 1,000 people find a perfect home in the greater Austin area. Whether you're looking to buy, sell or rent for awhile, she would love to help you, too. Specializing in relocation, Debbie is a wonderful help to folks who are not yet familiar with the area. She's lived in Cedar Park for 16 years, and knows the ins and outs of the entire Austin area very well. In her own words: "Through hard work, attention to detail and a solid commitment to do the best I can for every client, my goal is to make sure you realize your Real Estate goals." My move to central Texas in 2002 marked the start of a big new chapter. Austin evolved and adapted alongside my transition to adulthood. The real estate market has directly impacted me as a member of a family unit to a college student to a young professional. Let me help you navigate Austin’s market with my first-hand knowledge and expertise. I completed my undergraduate degree in architecture, with minors in mathematics and business at the University of Texas at Austin. Architecture has cultivated my sharp eye for detail, my grasp of spatial complexities, and my ability to resolve functional obstacles, all to your benefit. My passion for life is only matched by the multitude of opportunities I have grown from. I have experience in teaching; the performing arts; fundraising and stewardship; event and project management; cooking and mixology; architectural and graphic design; web, mobile, and software development; and of course real estate. Nothing beats connecting with others over their own passions. My interdisciplinary background only helps me comprehend your objectives and dreams better. I continue to expand my horizons and cannot wait to see what inspires me next. I emote genuinely from the heart and make decisions with a sound mind. I pride myself on maintaining top quality customer service. I take life by the horns and make the change I want to see. Use my background, intelligence, charm, vigor, and persistence to streamline and fulfill your real estate needs. I would love to hear more about you so I can tailor my professional services to meet your goals. Cheers! I moved from Dallas to Austin in 1963 so have seen the old and new Austin. I built my own home in Angus Valley which gave me a good insight into home construction. I worked in the paper industry in sales for 33 years where I acquired good listening and communication skills. In 2003 I entered the real estate business. I worked closely with experienced home inspectors which polished my skills of selecting good homes and avoiding problems. I know how to listen to – and challenge - clients to find out what they really want and can afford in a home. I have helped in building, buying and selling homes from the high $100’s to the $900’s. I am very hands on. Give me a call at 512.970.2733 and let's find your new home! Texas was supposed to be a pit-stop: earn my Ph.D. and move on. Well, I stayed and became a mom of a native Texan, a Texas attorney, and a Texas Realtor®. I enjoying being a Texas Realtor® because I help people determine what they want for their lives -- buy, rent, invest, upsize, downsize, HOA, communities (or not). Each day is different, and yet, each day allows me pursue my favorite activities: researching, exploring, listening, teaching, having fun, and empowering my clients to live life well. As an educator and attorney, I believe that knowledge is power. Thus, I earned my Graduate, Realtor® Institute (GRI) and Seniors Real Estate Specialist (SRES) designations. These designations have given me an in-depth look at the complexities, financial and emotional, of buying and selling real estate. It would be my pleasure to assist you with achieving your real estate goals. Please call or text me at 512.630.5718, so we can discuss your wants, needs, and dreams. I am a driven real estate professional. Dedicated, disciplined and hard working, a woman on the go! I draw from an extensive background as a property investor having personally "flipped" numerous homes including some business' built & sold for myself and clients in the residential, retail, restaurant & service industry. Because, real estate is one of the most exciting and important investments any individual or family can make, I give my all to ensure clients make sound decisions throughout every facet of the real estate process. Using my creative eye and attention to detail, I enjoy helping my clients prepare their homes for selling as well as assisting them as buyers in their search of the right property. Whether its's staging a property or helping visualize the potential for their new home, I am committed to helping my clients get the most out of their real estate experience! Being a real go-getter, I know how to make each and every moment count. If your buying, selling or leasing, know that I have the local expertise, enthusiasm and dedication, I am your "Best Hire" for any of your real estate transactions! Jason D. White, BBA, ABR, GRI WCR Realtor of the Year AN HONEST, EXPERIENCED, and FRIENDLY REALTOR who knows and loves Austin, Texas. Jason White has been an Austin resident for over 20 years, receiving his Austin Realtor® license in 2004. White is a graduate from St. Edwards University with a B.B.A. in Digital Media Management, a modern marketing degree. Pursuing his passion for real estate sales, White works tirelessly and continuously strives for excellence. White has been recognized as a top producing Realtor® and the WCR Realtor® of the Year. As a RE/MAX agent for first 5 years of his career, White employed the leading real estate executive coach in North America to grow his business. Under his coach’s guidance, White learned and implemented the best practices shared only by the most elite real estate agents and brokers in the business. He founded a real estate sales team, the Jason White Group, in 2006, and earned his Accredited Buyer Representative designation in 2007. In addition, he’s also an active member of the Institute for Luxury Home Marketing. In his everyday work, White utilizes a skill set based on over 13 years of successful sales experience and a technology background working with innovative companies and start-ups, including Texas Instruments, Raytheon, and Hirevue, among others. The depth of Jason’s luxury real estate market knowledge has been attributed to working and living in West Austin for many years. He maintains a pulse on the local real estate market and is passionate about his craft. Above all, White values honesty and privacy in all his client interactions. White is not only an Austin luxury home marketing specialist, he’s a great listener as well. White is a husband and father to a beautiful little girl, a social golfer, and a self-proclaimed foodie who enjoys life to the fullest. He also actively serves the community and fund-raises for the Shriners Hospitals for Children. If you are seeking an honest, experienced and friendly Realtor® to sell your home or help you build your real estate investment portfolio, Jason is here to serve you. Jenny made the leap from the world of high tech to the real estate industry in 2005. As a native Texan and long time Austinite she has extensive knowledge of Austin and the surrounding metro area. She has a passion for helping clients to buy and sell homes while striving to make the process seamless, enjoyable and effortless. With honesty and integrity, she specializes in helping first time buyers, those looking to relocate to Austin and locals looking to make a change. Her excellent listening skills and attention to detail have helped her build an extensive network of repeat clients and referrals. I have been in business since 1976 and Love it! Too many friends, before they were only my clients and customers. Created two Real Estate companies and developed about 150 new Realtors in California before moving to San Antonio, TX. Now I am dedicated to use all my knowledge and experience to help Sellers, Buyers and Investors to achieve their Goals and Dreams in Real Estate. Never too busy to not call back. Always ready to negotiate the Best deal and conditions for my clients keeping up to date with new Laws and Regulations. That's why my friends and clients say of me: "Experience you can trust"
As a lifelong Austin resident I know neighborhoods and schools. I have been a realtor for 18 years. Concurrently I was a school teacher and administrator as well as a wedding photographer. I also am a licensed landscape contractor. I have developed many contacts from stagers to contractors over the years to enhance your buying or selling experience. Quality representation is more important than the number of clients I have. Mayokia is a Realtor serving Central Texas. She was most recently Senior Vice President of Research and Recruiting at ExpertConnect, where she was responsible for client research and recruiting project management and growing relationships with new and existing clients. Prior to joining ExpertConnect, Mayokia managed Client Services at Kinnser Software, the leading home healthcare software provider. She previously spent 7 years at Gerson Lehrman Group where she held leadership positions in Research and Client Services, Recruiting, Compliance, and Network Development. Mayokia holds a B.A. in History from Columbia University, where she also captained the Women's Track & Field team. Mayokia calls Austin, Texas home, with her husband Gentre and their two daughters. My husband and I have resided in Austin for the past 32 years. We raised four children who all graduated from Texas Universities and have returned to live in their home town. Our whole family love the Austin area and I carry that to what I do in my career as a Realtor. Whether you are looking for a home or selling one, I am ready to serve you with the expertise and knowledge of the surrounding Austin area. It's a joy for me to help you with your Real Estate needs. Patti (Patricia) Ruth, a native Texan has lived in many parts of the United States as well as abroad, courtesy of corporate transfers. She currently lives in her 17th house as an adult in the Teravista community of Round Rock. Patti started her real estate career in Chicago with Coldwell Banker where in the first year she was named Rookie of the Year. She interrupted her real estate career with a job offer from AT&T, followed by Lucent Technologies, Avaya and in all she was named in the top echelon of sales associates nation wide. She returned to real estate as she moved to Texas. She has sold real estate in the areas of Austin, Dallas, Houston, Blanco, San Marcos, Steiner Ranch, Lakeway, Vineyard Bay, Leander and Round Rock. She and her husband, Jim, are very active in their church and community with various charities. They enjoy their 19 grandchildren, scattered across the United States and golf whenever possible. I have been practicing Real Estate in Texas since 2002. I am highly experienced in negotiations and I sell properties in and around Houston and its surrounding Counties. I'm also an expert on our school districts, athletic programs and community activities. It's always about Location Location so If you are considering a relocation or are just curious about your homes current value, call me today. I can meet with you tomorrow. Let me help you understand what today's market trends mean to you and your real estate goals. I get you listed on the market quickly, with professional photography, expertly priced with Extreme Marketing to get you sold as fast as possible. In the Real Estate Business for 17 years as a Realtor, Attorney, and Mortgage Broker. I am uniquely qualified to handle your next transaction! I love Jesus, my amazing family, and all things sports. I enjoy playing around outside, helping others, and traveling. I have lived in Austin for over 30 years and have enjoyed seeing it grow into one of the best cities in the nation. I have a bachelors degree from Texas A&M and I have a MBA from St. Edwards University. I am here for you, first and foremost, and if that means buying or selling a house than lets do it! I am a long time Houston resident and have worked in the non-profit sector here for over 30 years, so helping people comes as second nature to me. If you are looking to buy, sell, or rent I would be happy to assist you in any way I can. There are many different reasons and seasons that cause us to want to move or sometimes have to move. If you need to sell your house so that you can enter the next phase of life, let me help you. Whatever the situation, together we can find a solution. Is your family growing?...let me help you sell your current home and we'll look together for a larger home where your family can make new memories. Have all of the children gone off to college or out to start their own lives?...If your home feels too big now, let me help you sell the home you are in and find something smaller that requires less of your time and money to maintain. Do you have to sell due to a death, divorce, job relocation or job loss? Maybe you are retiring and are ready for a change. Even if you are facing foreclosure, there are solutions that many times can help avoid that. Call me, text me, message me or send me an email. I look forward to meeting you and helping you with your real estate needs. I have been serving buyers and sellers in the Austin Metro area since 2001. I specialize in residential re-sale, land and ranch properties. Tim Adkinson settled in Central Texas to continue serving the military community after a long and prosperous career in the Army. As a graduate with master degrees in business and human resources from Texas A&M University Central Texas, Tim worked in project management until his passion for people drove him to real estate, where he helps people realize their dreams of owning their own home. He is an avid golfer, who when not spending time with his beautiful wife Shannon, family or friends, can always be found on a golf course. Tim is a huge fan of Central Texas micro brewed beers, bar-b-que and the local southern culture. Travis runs an real estate investment firm that buys 90-100 houses per year. He is the largest house flipper in McClennan and Bell counties. He loves helping others invest in real estate and offers private coaching. He has two beautiful kids and a beautiful wife! He is also part of the Fightin' Texas Aggie Class of 2007.